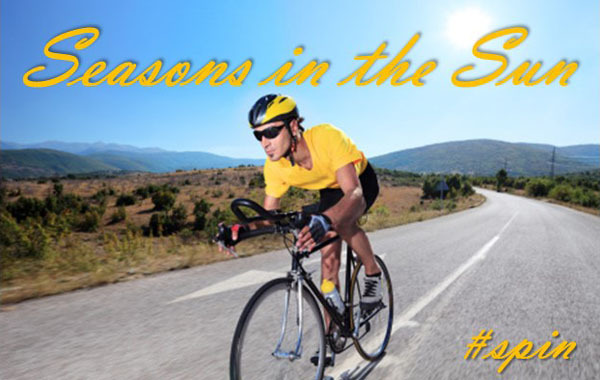 Enjoy your Season in the Sun just a little bit more with a boost from Spinning! Whether you’re a novice rider or a serious cyclist, Spinning has you covered. You make your spin workout as intense as you want it to be. 8-punch cards available online at https://community.tickets.mtu.edu. Reminder: Last Prenatal Yoga Workshop this Sunday, August 3! The last Prenatal Yoga Workshop for the summer will be offered this Sunday, August 3, from 5:30-7:00 pm in the SDC Studio. Prenatal Yoga is a wonderful preparation for birthing through breath, body and mind awareness. Learn what poses are safe for each trimester. Move through yoga postures that help balance the bio-mechanical force of the growing uterus. Practice stress reduction & physical restoration. Cost of the workshop is $15. For more information or to register, visithttp://www.michigantechrecreation.com/programs/adult/yoga/prenatal/index. Enjoying these lazy, hazy, crazy days of Summer? Soak it up but don’t let your fitness goals slide! Pilates melds controlled, precise movements with concentration and breathing techniques to stretch and strengthen muscles without adding bulk. Power Pilates will keep you looking cool all summer long! Monday/Wednesday, 12:00-12:50p.m. SDC Dance Studio. Ballet Barre is a dynamic workout designed to shape and tone the body, ballet barre combines elements of ballet, Pilates, yoga, and barre exercise moves to create an effective workout experience. Summer Session ends July 31! Tuesday/Thursday, 5:15-6:05p.m. SDC Dance Studio.8-punch cards available online at https://community.tickets.mtu.edu.